Is there anything Myleik Teele can’t do? Serious question. And if you don’t know who she is, serious issue. Myleik Teele is the creator of CurlBox, one of the top-selling beauty subscription boxes for curly girls. Over the years, she’s acquired a huge following, not only due to her amazing product but also her tough-love advice she’s been giving to young women, like myself, through her podcast over the years. From how to handle becoming an entrepreneur amongst friends who just don’t get it, to offering practical (and realistic relationship advice) to sharing how she built her mini empire over the last five years (and counting), Myleik Teele can easily appear to be superhuman. But that’s just where the amazing thing reveals itself: she makes it so clear that not only is she an ordinary woman who decided to do extraordinary things, she also helps other women accomplish their “out-of-this-world” goals, too. One of those ways is through her MyTaughtYou Learn More to Earn More journal. I started listening to Myleik’s podcast about a month or so ago. In each of the podcasts, she would talk about her journal and how once it was gone, it was gone. She wouldn’t be restocking it. For a while, I didn’t make a move. I knew that I was completely unorganised, getting the bare minimum done because of my poor time management skills. But, it didn’t register in me to purchase her journal, even though I was falling in love (and beginning to follow) her key advice on stepping into my greatness. Plus, the journal is $20. But, the day I listened to her podcast on the “Two Types of Hustlers”, it hit me that I can spend $20 on drinks with my girls, so there’s no reason I can’t spend $20 on a journal that may actually help me get organized and get my life together. So I bought it. And then, I let it sit on my desk for a week. Two Wednesdays ago, I cracked open the journal. I had gotten fed up with not feeling organized and honestly, not feeling like I was getting anything accomplished in both my work and personal life. That’s when my work life legitimately changed for the better. At the beginning of the journal, which is laced in a beautiful purple and blue color scheme that makes your work area look that much prettier, you’re introduced to a few pages of Myleik’s personal testimony to how she went through a depression that led her to teach herself how to stop giving up. Talk about raw, authentic and inspiring. Then, she moves on helping you understand how to start anything you truly want to, and how to really stick with it through her simple, yet effective system of getting things crossed off your to-do list. I’m a very big skeptic of self-help books and journals. But this one is actually a “push the doer” type of guide. Her tips and guidance on getting your work done isn’t just talk. There is an exercise to the accomplishing things off your list, and it doesn’t require anything but your willingness to sit still and be disciplined (which she will inspire you to do). I’ve been using the journal for two weeks now. I’ve organized my to-do list, gotten things done and honestly, I just feel empowered to do more. Now, everyone has their own mechanism of how they get things accomplished. But, I had to share this super cute, super helpful journal with my BB gals, just in case there were some of you out there in need of an organizational, work ethic pick-me-up. If you want to try to use Myleik’s journal yourself, head over to her site while she still has them in stock and let me know how you like it. 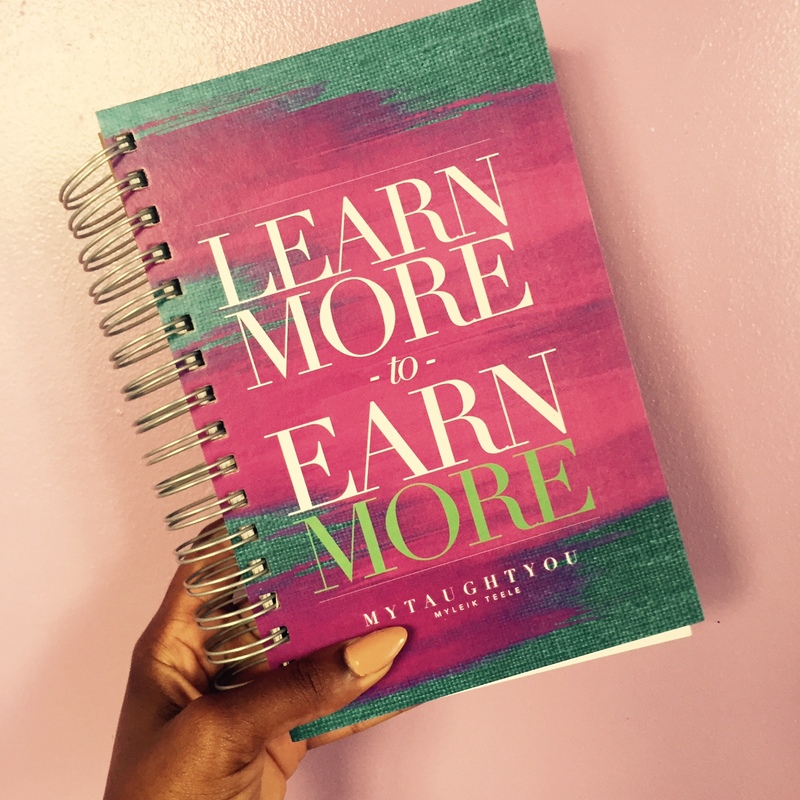 Love Myleik, but the journals are a pure waste of money. $20.00 for a few pages of chatter plus $7.00 shipping. Go to Ross and buy you a $6.00 journal for the year! I believe in supporting the community and Myleik as a black woman who has achieved a degree of success, but this is straight gauging the followers.